Now that all of the festivities are over and 2018 is well underway, it’s time to see what the year has in store for us. 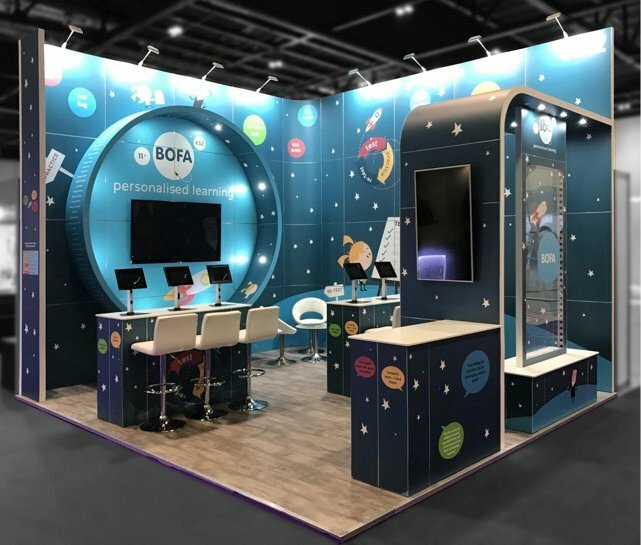 Already this month, we have been working around the clock to deliver stands all throughout the UK and across Europe and we’re getting ready for what looks to be a very busy and exciting year. 2017 was a great year for us here at MODEX. Over 400 stands were built and installed and we visited over 30 venues in 11 different countries to do so. We are always aiming to be bigger and better though and increasing those numbers with the same quality and execution for 2018 will be one of our biggest goals for the year ahead. This month has also seen our team grow once again as Teresa Edwards has started with us in the design team. The custom modular design is a really important step in the process of creating our exhibition stands and it’s great to have another person on board to help with workflow and making the whole operation go smoothly. 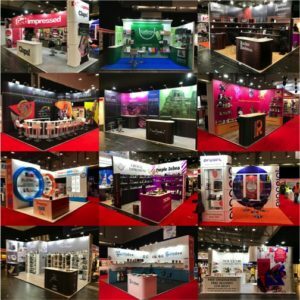 We have been very busy printing graphics, sorting flight cases and loading lorries over the last few weeks and MODEX exhibition stands have been popping up all over the place. This month we were fortunate enough to work with nineteen different clients exhibiting at PPD Live. Hundreds of frames, graphics, shelves and more were put up within the two days and delivered on time and to client satisfaction. Ranging from 4 sq/metres to over 40, the stands were all unique in their design and build and were tailored specifically to the businesses’ needs and requirements. If you want to see more MODEX testimonials search for #MODEXFeedback on Twitter, and for all your latest MODEX news, follow us on Twitter.